Korea was the sixth-highest-exporting country in terms of the dollar value of exports as of 2015. This is in part due to Korea's deliberate economic policy of encouraging exports. For example, the government has provided banking services to local and foreign businesspeople who are engaged in trade. Korean companies commonly use letters of credit or refund guarantees in international trade that are backed by government-sponsored import–export insurance programmes. Since joining the Organisation for Economic Co-operation and Development in 1996, Korea has opened its financial market and many foreign investors have made significant investments in the Korean stock market. 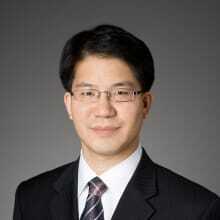 Foreign investors have also been doing business in Korea via joint ventures or by establishing operations in Korea. To strengthen the stability and transparency of the Korean financial system, special statutes address money laundering and forfeiture of assets or profits obtained by crimes such as fraud and human trafficking. Increasingly, the Korean government is becoming more active in international investigative or judicial cooperation with regard to money laundering and asset forfeitures. The Financial Supervisory Service, which oversees Korea's financial system, provides a public electronic disclosure system called the Data Analysis, Retrieval and Transfer System, which allows any listed company, or any corporation issuing securities in the public market, to submit disclosures online. Like the US Securities and Exchange Commission's EDGAR system, these disclosures become immediately available to investors and other users. In addition to civil litigation, a victim of a fraud may file a criminal complaint with the police or the Prosecutor's Office. The prosecutor indicts a suspect with charges responding to the amount obtained by fraud. Depending on the alleged size of the proceeds from the fraud, the prosecutor may ask the court to apply a special statute that provides for harsher punishments for serious financial crimes. Under Korean law, a fraud victim may file a suit under at least two legal theories: breach of contract or tort under the Civil Act. The choice between the two would be dictated by the particulars of a case and other considerations, such as the statute of limitations. The amount of damages from either action is the same and punitive damages are not available under Korean law. If a debtor or a third party who knew of the fraud received a victim's property and held it in possession, the victim, as the rightful proprietary interest holder, may demand its return. If the debtor already disposed of the properties, the victim may recover damages. Under Article 406 of the Civil Code, a creditor may apply to the court for cancellation and restitution of any entry of contract, transfer, or release of property rights and claims as a fraudulent conveyance if the act is detrimental to creditors and both the debtor and the counterparty of the act had knowledge that the act would be detrimental to creditors. A transaction is deemed 'detrimental to creditors' if the debtor becomes insolvent as a result of the transaction or if the debtor was already insolvent at the time of the relevant transaction. Although directors of a corporation are primarily liable for damage to the corporation, they may be also liable to the corporation's creditors and shareholders if the directors are wilfully or grossly negligent in their breach of their fiduciary duties of care and loyalty to the corporation. Commencement of a reorganisation or liquidation proceeding suspends any action filed by creditors pursuant to Articles 404 or 406 of the Civil Act pending in the court at the time, until the trustee takes over the litigation or until the reorganisation or liquidation proceedings are completed. The Supreme Court of Korea has held that the trustee has an exclusive power to file suit against directors who violated their fiduciary duty.9 In other words, shareholders may not file a derivative suit against directors and auditors upon bankruptcy. To maintain the status quo regarding tortfeasor or debtor assets, a claimant can apply for one or all the following provisional reliefs: a provisional attachment order, a provisional prohibition order from disposing of assets or a provisional injunction. The creditor may apply for these reliefs ex parte. A provisional attachment order is invoked by creditors that have monetary claims against the debtor, and it covers personal property as well as real property.11 Provisional attachments are effective even if the assets are disposed to third parties. The creditor must identify in its application specific assets owned or possessed by the debtor. After the claimant wins the lawsuit, he or she can enforce his or her right under the court's auction. A creditor who has a claim other than a monetary claim may apply for a provisional prohibition order from disposing of assets to obtain delivery of personal property, transfer of accounts receivable or bank accounts, or registration of real property.12 The order prevents the owner or holder of the property from delivering possession, or assigning or granting encumbrance of the property to a third party. Like a provisional attachment order, a provisional prohibition order from disposing of assets is effective against third parties. A creditor seeking to prohibit specific actions may seek a provisional injunction.13 The court usually reviews the petition and supporting evidence without witness testimony, and has discretion as to the issuance of the order and the size of the undertaking necessary to protect the interests of the defendant. In an involuntary bankruptcy context, creditors may seek a comprehensive injunction prohibiting the debtor from transferring any assets of the debtor or payment to any creditors. This is to prevent the debtor from dissipating assets between the time the involuntary bankruptcy petition is filed by the creditors and the time the court officially commences the proceeding. Once the bankruptcy proceeding commences, the right to dispose of the debtor's assets belongs to the court-appointed trustee, and the trustee's disposition of assets is subject to court approval or a creditor's supervision, or both. Generally, courts may not interfere with matters subject to arbitration.14 However, after an arbitral tribunal has been constituted, parties may file a petition for provisional relief with the tribunal or directly with the court.15 If there is an arbitration agreement but the arbitral tribunal is not yet constituted, parties may request provisional relief from the court. Korean law treats a judgment creditor as an unsecured creditor whose priority is lower than that of secured interest holders in civil execution proceedings as well as in insolvency proceedings. Under Korean law, a party must use his, her or its own name in conducting financial transactions. This rule is designed to prevent corporations and individuals from using nominee arrangements to conceal illicit property, money laundering or financing of terrorism, or evading compulsory execution or otherwise evading law enforcement. Violation of the rule may result in criminal sanctions, including imprisonment and fines. In a securities case, the burden of proof is significantly shifted to the defendants so as to protect the investors. The Supreme Court has held that victims need not prove the existence of a causal relation between damage and false representation. A defendant must prove that the purchaser was aware of the material fact in question when the purchaser made the offer to acquire the securities, or that the defendant would not have been able to discover the inclusion or omission of material facts even if he or she exercised reasonable care. An unsecured creditor who is a victim of a fraud may file an involuntary bankruptcy petition against an insolvent debtor if the debtor cannot duly repay the debt. Upon commencement of bankruptcy proceedings, the court must appoint a trustee who has the power to manage business and dispose of the bankruptcy estate. transfers that take place after or within six months of the occurrence of an insolvency event and that conferred benefits on the beneficiary in exchange for no or nominal compensation. Guaranteeing the debtor's principal debt for creditors without receiving any consideration is a typical example. Korean courts have held that they may assert personal jurisdiction over a foreign defendant if the defendant has a domicile, operates an establishment or commits a tort in Korea. In addition, certain contractual actions against foreign defendants are also permitted. If the plaintiff is a consumer domiciled in Korea, he or she may file a suit in Korea against the foreign defendant based on a consumer contract.34 Employees may also file a suit in Korea against a foreign defendant based on an employment contract if the employee has continuously provided service to the defendant employer in Korea. The Act on Private International Law also provides a choice of law for the victim, who may choose between the law of the place where the tort occurred or the law of the place where he or she suffered the damage from the tort. In addition, if the debtor entered into a fraudulent contract through misrepresenting facts, the victim may enforce the choice of law clause in the contract. In 2009, Korea joined the Convention on the Taking of Evidence Abroad in Civil or Commercial Matters (Hague Evidence Convention); accordingly, a foreign court may request examination of evidence by the Korean court. However, under Korean law, private examination of a witness (such as a deposition) is not allowed. A party in a legal proceeding must examine witnesses before the court, upon the court's approval. In addition to the Hague procedures, the Korean courts have cooperated with foreign courts based on the Act on International Judicial Mutual Assistance in Civil Matters. In an insolvency proceeding, the court-appointed trustee has the authority to dispose assets located abroad if the assets belong to the bankruptcy estate. However, before exercising the trustee power abroad, the trustee must first file an appropriate petition to obtain recognition of the Korean insolvency proceeding in the foreign country. For example, the trustee has to file a Chapter 15 petition in the US Bankruptcy Court to exert his or her management power in the United States. The reverse is true as well. After bankruptcy proceedings are commenced abroad and foreign creditors find that the debtor has assets in Korea, the representative of the foreign insolvency proceedings may file a petition for a recognition order with the Central District Court of Seoul. After giving recognition, the Central District Court of Seoul may appoint a trustee, who may locate a debtor's assets in accordance with the DRBA. Korean courts have generally recognised foreign arbitral awards. Korea ratified the United Nations' Convention on the Recognition and Enforcement of Foreign Arbitral Awards (New York Convention) on 8 February 1973. On the same day, it also ratified the Convention on the Settlement of Investment Disputes between States and Nationals of Other States. A foreign arbitration is recognised in Korea according to these treaties. As to the United States, Korea entered into a bilateral treaty with the United States: the Treaty of Friendship, Commerce and Navigation between the Republic of Korea and the United States of America. Section 5 of the Treaty states that both countries guarantee the validity of arbitration clauses in agreements and in the execution of arbitration awards. The issue of revocability of an arbitration award rendered abroad is determined by the laws of the place of arbitration, not the laws of the enforcing forum. Korean courts recognise foreign judgments based on comity and reciprocity. If there is no reciprocity between Korea and a foreign country, a foreign judgment may not be recognised. For a foreign judgment to be recognised, the foreign court must have had personal jurisdiction against the defendant and subject-matter jurisdiction. If the Korean court deems that the complaint was not served to the defendant or that the defendant was not granted due process, or both, the court may not recognise the foreign judgment. The Korean court may also refuse to give recognition if the foreign judgment was obtained fraudulently. Korean courts have seen an increasing number of cross-border disputes and ensuing asset tracing and recovery efforts made in Korea. The judges are more knowledgeable and flexible in dealing with cross-border cases. Upon counsel's proper explanation and provision of relevant support, some judges have made rulings on certain procedural issues or described certain procedural steps that they would not in pure domestic litigation contexts, mainly to alleviate the party's burden to fight collateral attacks on the procedural points that may occur down the road in a foreign court unfamiliar with Korean procedural rules. For example, service of process is rarely an issue in Korean domestic litigation because it is completed through the court and postal office. In some instances, however, judges make an affirmative finding that the service was completed in accordance with the applicable rules – mainly to ensure that its judgment will not be subject to a collateral attack in a foreign court. This trend will likely continue to develop and ultimately further accommodate cross-border litigants in a more efficient and effective way. Korea's regulatory authorities are more actively taking their investigations abroad and seeking cooperation from their counterparts in other countries. Korea Deposit Insurance Corporation, for example, recently established its first-ever international outpost in Phnom Penh, Cambodia, to trace and seize assets of certain Korean debtors known to hide assets there. In July 2017, Korea's Public Prosecutor's Office successfully traced and repatriated Ponzi scheme proceeds that were diverted to China, marking the first time Korea's law enforcement repatriated criminal proceeds from China. With the new Moon Jae-in administration prioritising anti-corruption efforts, we expect Korea's regulatory authorities to become even more active in conducting international investigation and making repatriation efforts for crimes and transactions with a nexus in Korea. 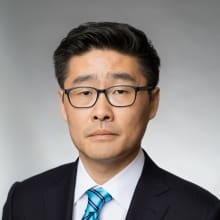 1 Michael S Kim is co-founder, Robin J Baik is a principal and S Nathan Park is of counsel at Kobre & Kim, and Chiyong Rim is an attorney at Kim & Chang This chapter was written as a collaborative project between Kim & Chang and Kobre & Kim LLP. Kim & Chang contributed summaries of Korean law. 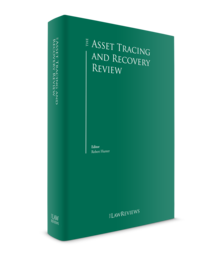 Kobre & Kim LLP contributed thoughts on strategy in judgment enforcement and asset recovery matters. The information in this chapter was current as of September 2017. 2 The Supreme Court 2015. 4. 29. 2002 DO 7262. 3 The Supreme Court 2007. 9. 12. 96 DA 41991. 4 Article 311 of the Civil Procedure Act. 5 The Supreme Court 2007. 12. 13. 2007 DA 60080. 6 The Supreme Court 2007. 10. 11. 2006 DA 33333. 7 For example, under Article 97 of the Civil Act, if a company is financially distressed but continues the business without obtaining court bankruptcy protection, such that the continued operation only increases the company's losses, the directors' fiduciary duty is to take protective measures for the company, such as filing a petition with the court for a bankruptcy or rehabilitation proceeding. Directors who do not file such a petition for bankruptcy proceedings after a corporation becomes unable to pay its debt may be sanctioned under the Civil Act. There is, however, no case precedent to date in which directors' failure to apply for a bankruptcy or rehabilitation proceeding has actually been deemed to be a breach of their fiduciary duty to the company and led to personal civil liability. 8 For rehabilitation proceedings, Article 114 of the Debtors Rehabilitation and Bankruptcy Act is applied; for straight bankruptcy proceedings, Article 351 is applied. 9 The Supreme Court 2002. 7. 12. 2001 DA 2617. 10 The Supreme Court 2016. 4. 12. 2013 DA 31137. 11 Article 276 of the Civil Execution Act. 12 Article 300 of the Civil Execution Act. 13 Article 304 of the Civil Execution Act. 14 Article 6 of the Arbitration Act. 15 Article 18 of the Arbitration Act. 16 Article 19 of the Arbitration Act. 17 Article 375 of the Civil Procedure Act. 18 Article 184 of the Criminal Procedure Act. 19 Article 349 of the Civil Procedure Act. 20 Article 61 of the Civil Execution Act. 21 Article 72 of the Civil Execution Act. 22 Article 74 of the Civil Execution Act. 23 Article 125 of the Financial Investment Services and Capital Markets Act. 24 Article 3 of the Securities-Related Class Action Act lists the damages claims for which victims may file. 25 Article 12 of the Securities-Related Class Action Act. 26 Article 15 of the Securities-Related Class Action Act. 27 The Supreme Court 2015. 4. 9. 2013 MA 1052, 1053. 28 Article 29 of the DRBA. This clause is also invoked by interested parties including creditors who filed proofs of claim with the bankruptcy court. 29 Articles 100 and 391 of the DRBA. 30 The Supreme Court 2009. 5. 28. 2006 DA 20209. 31 The Supreme Court 2012. 5. 17. 2009 DO 6788. 32 Article 2 of the Act on Private International Law. 33 The Supreme Court 2005. 1. 27. 2002 DA 59788. 34 Article 27 of the Act on Private International Law. 35 Seoul District Court 2007. 10. 18. 2007 KUKSEUNG 1.